[12th June 2015] Since iClinic`s inception in 2012, we have been continuously offering medical consultations to patients throughout India. Through our online as well as offline platforms and our mobile app, we have offered thousands of medical consults to patients till now. With medical consultations provided by iClinic increasing day by day, the total number of consults offered by this company till date has crossed the mark of 10000. 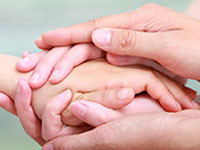 It is indeed a remarkable achievement for us and the entire iClinic team. [9th February 2015] iClinic Healthcare, the online healthcare services provider, has merged with RJ Corp, the holding company of PepsiCo’s biggest Indian bottler Ravi Jaipuria. 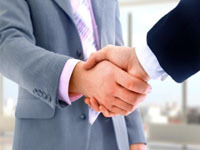 As per the new agreement, Diagno Labs, a lab company owned by RJ Corp, will merge with iClinic and Sanjoy Mukerji will be the managing director of the group. After the merger, both Varun Berry and Sanjoy Mukerji will be important minority shareholders and function as board of directors of the company. Sanjoy Mukerji, our managing director, reveals that the overall strategy of the new entity is to strengthen, cooperate as well as lower operational expenditure and improve efficiency. He adds that both iClinic and Diagno Labs will get logistics aid, funding and guidance from RJ Corp. Regarding the newly formed partnership, Ravi Jaipuria discloses to Economic Times that it is a new association aimed at offering all-inclusive services. He adds that the group has plans to build associations with hospitals located in small towns and in the next years, aims to establish over 100 lab locations and more than 10,000 collection centres. [31st July 2014] iClinic Healthcare is now planning to set up 20 speciality hubs across the top cities of India over the next 3 years. Around 1,000 doctors and specialists will be engaged in these centres. In the southern part of India, iClinic has plans to launch hubs in Chennai, Bangalore and Hyderabad. 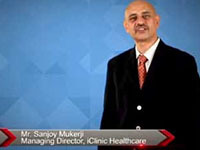 Sanjoy Mukerji, our Managing Director, states that iClinic has already started collecting Rs. 25 crore to fund its plans of expansion. [20th October 2013] Our impaneled Sr. Cardiology specialist Dr. Ripen Gupta, MD, DM from New Delhi with help from Dr. Rajiv Gupta, MD from Karnal used iClinic's Online Platform for Camp and successfully examined over 14 patients. Our free Cardiology medical camp helped in bringing awareness among cardiology patients at Karnal. 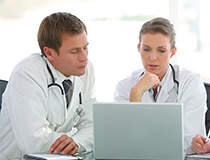 iClinic Healthcare pvt ltd has developed advanced IT technology which acts as a communication medium between doctor and patients remotely and helps in lower down expenses on patient side. Our Cardiology camp proved that our technology worked very well, all patients and doctors were satisfied with our advanced IT healthcare platform carried up by iClinic healthcare pvt ltd. 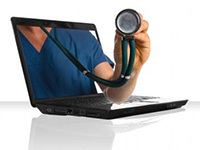 Written Medical Advice - Get your health questions solved offline with our doctors. [Press coverage] Delhi Based company iClinic health care private limited has associated with talwar nursing home to provide its specialized services to the people of sirsa. Clinic telemedicine platform was inaugurated by CMO of Sirsa and iClinic MD Mr. Sanjoy Mukerji. 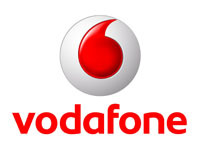 [11 January 2013] To encourage Vodafone employees to use our services and to showcase the power of our tie ups, we conducted a free Gastro camp! The consulting doctors, led by Dr. P.K. Sethy of Medica Super Specialty Hospital, Kolkata was available for consultations on the iClinic platform. Over 14 Patients came for Live Online consultations on our state of the art Platform.